Relax in shared transportation as we pick you up from your local accommodations and take you to Graceland where The King is still alive. 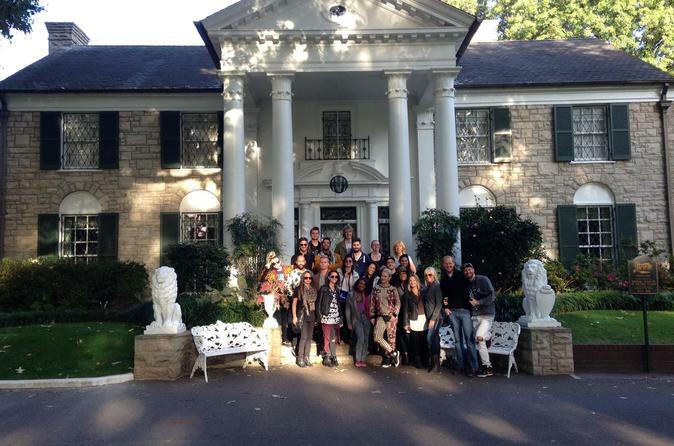 This Graceland VIP Tour includes all the benefit and activities of the Platinum Tour of Graceland. You will be able to skip to the front of the line at the Mansion, access to a special VIP Only exhibit, Special All-Day ticket and a keepsake backstage pass. You will start the day by being picked up in Memphis at your hotel with round trip transportation to Elvis Presley's incredible Graceland. This ticket will allow you to move ahead of the line and will include an audio tour of the mansion, the jungle room, his business office and trophy building. Then you will head across the street for a self-guided tour of the Hound Dog II and the Lisa Marie. Don't forget about his two customer airplanes because those will be their as well. You will also have access to explore Elvis Presley's automobile museum showing off the King's precious car collection, driver's license, high end leather jackets, all kinds of memorabilia and much more. This tour takes roughly 3 - 4 hours.